Whether it is the Romans, Greeks, or Persians of antiquity, or the more modern empires of Britain or Spain, the coinage of the issuing power reflects the economic might of her empire. This projection of strength is usually seen easily enough in the ruler's face gracing the coin's obverse. However, particular British Gold Sovereigns from the period before the Second World War also reveal the stretch of the British Empire: by small letters, mintmarks, denoting that they were struck at overseas mints outside of Great Britain. The Royal Mint had branches operating across the colonial empire of the British. It was necessary and economically prudent to have minting facilities closer to—or, ideally, in—these regions that depended upon Gold Sovereigns for commerce. Thus, there are Gold Sovereign coins minted at far-flung British holdings: Sydney, Perth, and Melbourne in Australia; Bombay (Mumbai), India; Pretoria, South Africa; Ottawa, Canada; and other places at times, as well. In general, production totals at these facilities would be lower than normal. That means that today a high-grade example of one of these coins is worth far more than their more common counterparts. 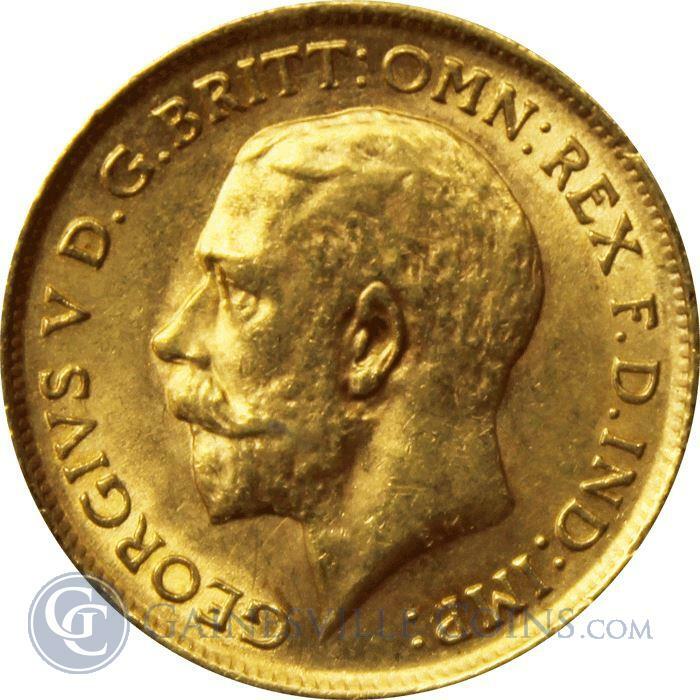 For instance, the 1926-S George V Gold Sovereign bearing the monarch's profile facing left, minted in Sydney, is reportedly expected to garner as much as £37,000 (~$45,500) in mint state! 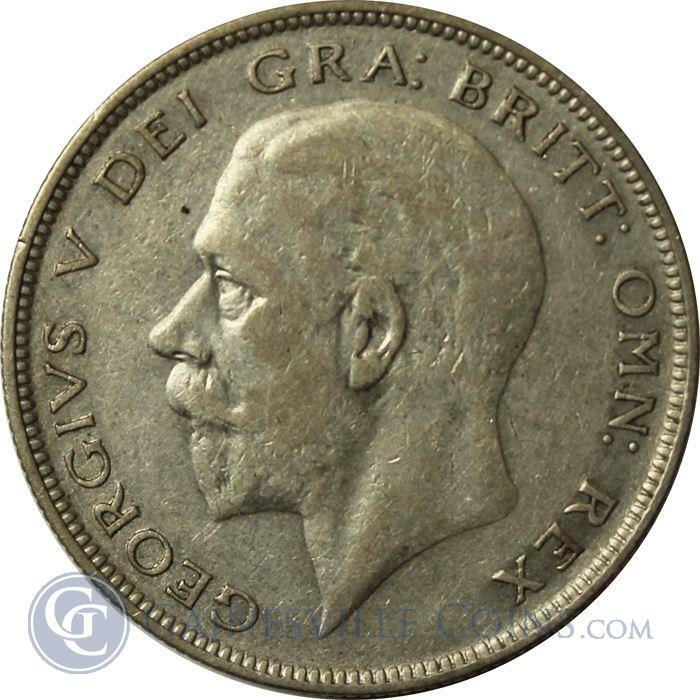 The bust of King George V is also featured on the Britain George V silver half-crown coin (shown, below). After a period of decades where no gold coins were produced by the Royal Mint, Gold Sovereigns have returned and are still minted for investors and international trade today.